This is probably my favourite thing ever. In 13th place is ABoxerWhoIsPacifist, with a score of 22 after only showing up for the Royal Rumble. In 12th, Rawrgna, who disappeared for a while then came back towards the end to have a final score of 260. In 11th is Ploiper, with 355 points, and average of 19.72 points across each event. And in 10th is Slazo, who scores 361 points in total, 20.06 points per event on average. In 9th is Laura, scoring 372 points in total. That's 20.67 points per event average. In 8th we see PredictaMania newbie Chris, who ends with a final score of 384. That's 21.33 points average on each event. In 7th is Dix, whose score of 400 works out at 22.22 points per event average. In 6th is olrodlegacy, with 402 points, just pipping Dix but being just shy of the top 5. 22.33 points average for each event. Taking 5th position is Stitch Lips, with a final score of 412 points, which is 22.89 points on average. Taking 4th is another PredictaMania newcomer in the form of Nick, who scores 452 points. That's an average of 25.11 points on average. In bronze position is GeordieSquires, with a final score of 468 points. With an average of 26 points per event, NXT Takeover London predictions stopped Squires from being any higher up the table. Myself. Like Squires, I had an awful NXT Takeover London set of predictions which has made me drop from the top spot right at the end. A final score of 471 points works out at 26.17 points per event on average. Which means jumping me right at the end to take the top spot, and the reigning, defending SONM PredictaMania champion of the woooooooooorld, Matt93! 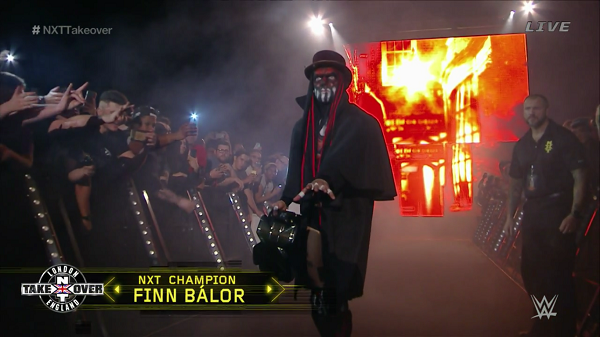 After a score of 25 at NXT Takeover London, he comes out at the end in the top spot, with a final score of 477 points. That's 26.5 points per event on average. Here's the final table in its full form as we draw 2015 to a close. Lol, beat Slazo. All I needed. Mid-carder. I'll take it. I'm basically Neville. I'm blaming that on a terrible early run - next time I'll start on fire. yaaaay 11th I did so well. TheUndeniableLau wrote: Lol, beat Slazo. All I needed. Where could it have gone so wrong. Oh wait, I know, NXT TakeOver Respect. Curse you Tag Team Claaaasiiiiiic! My best performance in all the years of Predictamania and still I end up in mid-table.